Controversial content is seldom posted on this blog. At a basic level, I try and visit eateries for which I have reasonable confidence in their quality. 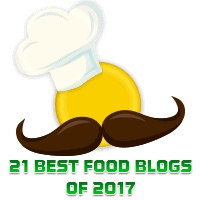 Anyone, not just food bloggers, would either have some seriously poor taste, or posses some kind of iconoclastic zeal, to seek out poorly-rated locations. Thus, reviews on most food blogs there are overwhelmingly positive. That said, who would have expected that I would end up mooting a less-than-starry review of Devon Café? Twice posted, twice loved; The winner of the Good Food Guide Cafe Guide “Best Food Café”. Well, on July 3, Devon Cafe opened its doors for the first time for night service. Aptly named “Devon By Night”. In my experience, I understand that they would need some time to get the hang of night service, as well as ironing out any kinks in their menu. It was with this thought that I visited two weeks after their official opening. The results surprised me, more than anyone. To be a little forward – “Devon by Day” and Devon By Night are two completely different beasts. I could nigh consider them to be separate restaurants, such is the divide. The menu is quite extensive, with 24 food items ready to go. By this point in time, head chef Zachary Tan (of Guillaume fame) has concocted a banquet-style meal (for $60) which consists of several entrees, several mains and several desserts taken from the menu, or so it seemed. What’s on the banquet can be swapped out to a limited degree, but otherwise, the menu items that make it onto the banquet are decided by Zachary on the night, representative of what he feels is appropriate. With one switch (the beef ribs substituting for the mushroom egg custard), we ordered the banquet, and were on our way. Unfortunately, the start wasn’t great. While I expected an ample amount of tarty, chill freshness from the Coffin Bay Pacific oysters, what I got instead was a rather mucky, muddy texture from oysters that didn’t taste particularly clean. 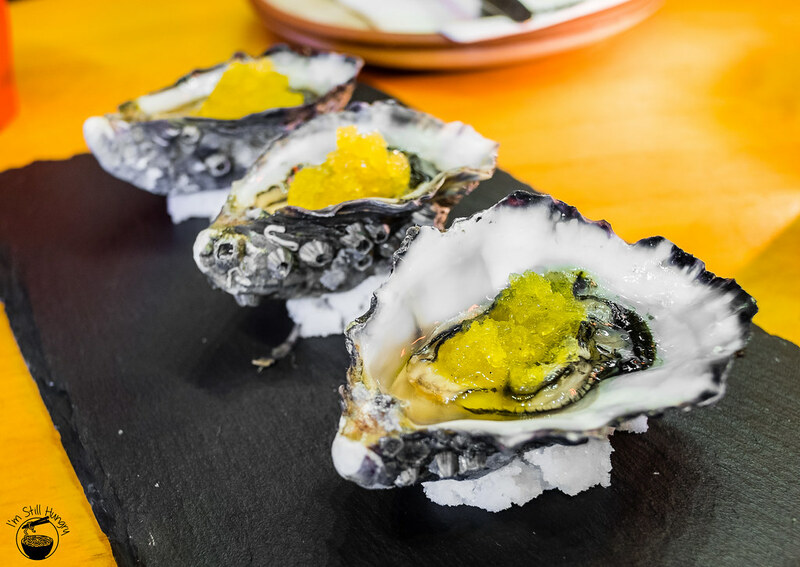 Not to disparage, it felt like I was eating slightly off oysters – they didn’t taste fresh at all. It’s the taste of the sea, but the wrong side of it. I wished the yuzu granita would overwhelm the oyster, but it was too weak to do so. All in all, one of the less stellar examples of raw oyster. While I had no choice but to admit the start was a letdown, the second course of king salmon sashimi re-primed my expectations of what Devon should be – this is a much better dish, and probably one of two that I really liked in this banquet. Devon knows what it can do with salmon, as evidenced by the salmon salad and Breakfast with the Sakuma’s they serve as part of their breakfast menu. 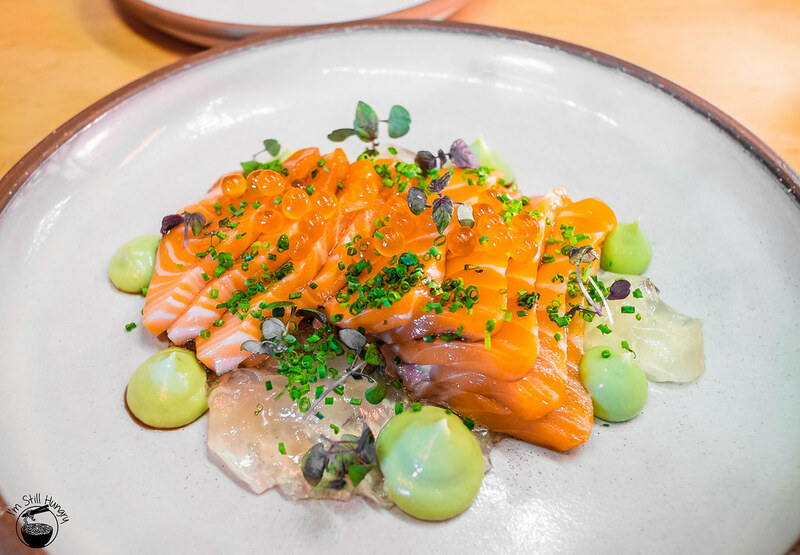 This dish follows the trend of great salmon, with loads of flavour imparted by the tangy-sweet tomato jelly, as well as ikura. Dollops of avocado add a bit of richness to the dish. It’s simple, it works, and that’s a bit of Devon by Day shining through. At this point, we begin to wonder just how the dishes on the night menu are priced – the menu says $15, but how do we know what kind of a portion size that equates to? Evidently, for 3 people (I dined with two others that night), the amount pictured sufficed. But what if I ordered it solo – do I get the same amount? There’s no indication. The lobster roll is probably the most-talked and most-photographed dish from the night menu. 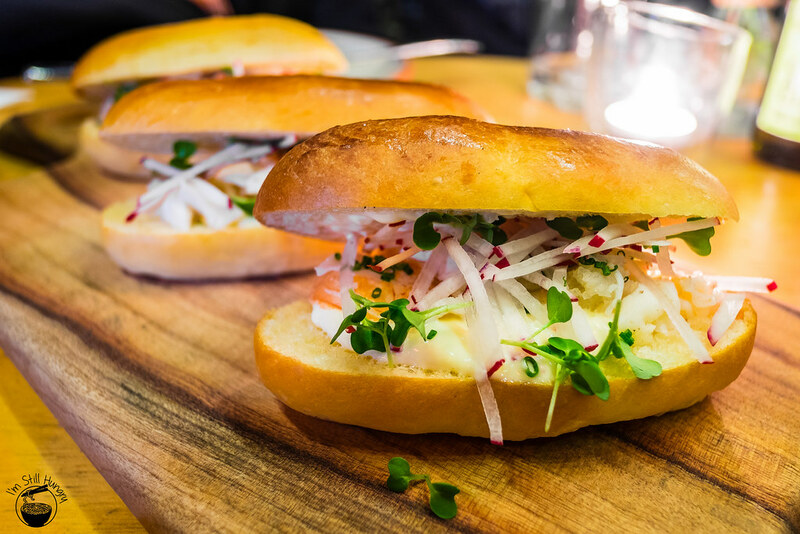 Who doesn’t love a great poached lobster roll? I sure do, but maybe my expectations were a bit up and above. I was a big fan of the bun – the slight sweetness and toughness made it most enjoyable to chew through. It’s fluffy enough so that it’s not heavy, but still resistant enough to be moreish. The lobster itself is well-prepared in terms of flavour, but it was actually *gasp* somewhat overcooked. A roll that was nearly a winner for me is more of a bronze medalist now. The thing is, in winter, in sitting in the cold the perception of coldness and hardness change somewhat, such that a cold poached lobster will actually taste a bit over. That could have gone on here, but whatever the reason, I felt that it was just a bit too hard for me. I wish it were different, but that’s what I tasted, and that’s what I report. a) why are oysters (and as you’ll soon see, the dessert) priced with the letters “ea” after the price? b) $15.5 for one roll is quite dear – it’s only a quarter tail of lobster meat in there, but this point is more debatable. Funnily enough, the comments made about the lobster roll apply to Devon’s pork buns, but in reverse order. 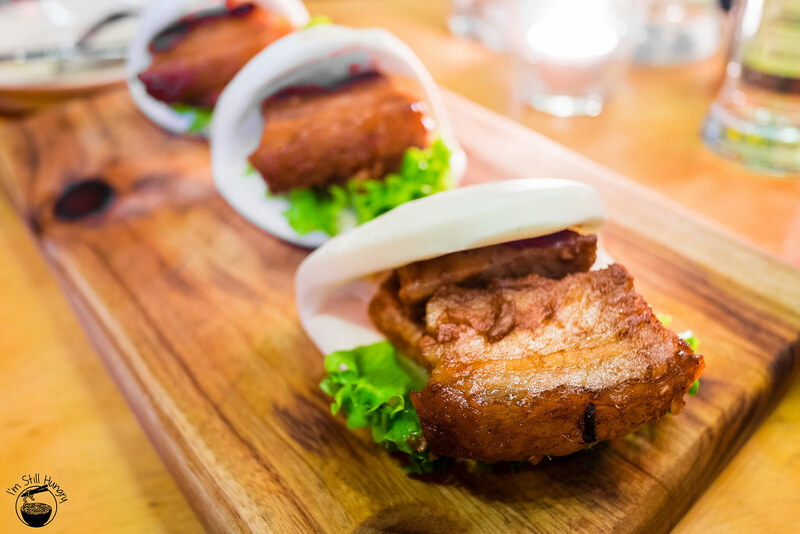 In this particular case, the buns themselves are too chewy, with a “hard-edge” kind of crustiness with every bite, that’s so very different to the pillowy soft pork buns at say, Melbourne’s Wonderbao [review pending], Ippudo, or Momofuku Seiobo. As for the pork itself – fantastic. It’s supposedly Hakka-style, which apparently involves the usage of five spice, rose wine and fermented beancurd. Not sure if I could taste all of that, but it was a darn good regardless – the layers slide off each other with little friction, the fat melts in the mouth, and the meat is juicy and succulent. Mmmmm. But as it is, there’s two parts to the equation, where only one has a satisfactory value. Not to nitpick, but there was also a taro “cream” near the back of the bun that didn’t really feel necessary – it added a bit of grittiness to the bun, and gave it too much sweetness. We could have gone without it. It’s also fairly expensive, coming in at $6 a piece, but in this respect, I take no issue – the slab of pork you get is very generous, so make that what you will. $4 for one piece of chargrilled corn thinner than my finger and only slightly longer. The value proposition isn’t singing this dish’s praises. I won’t comment much here, but suffice it to say, I would not order this voluntarily. It is not worth the price. 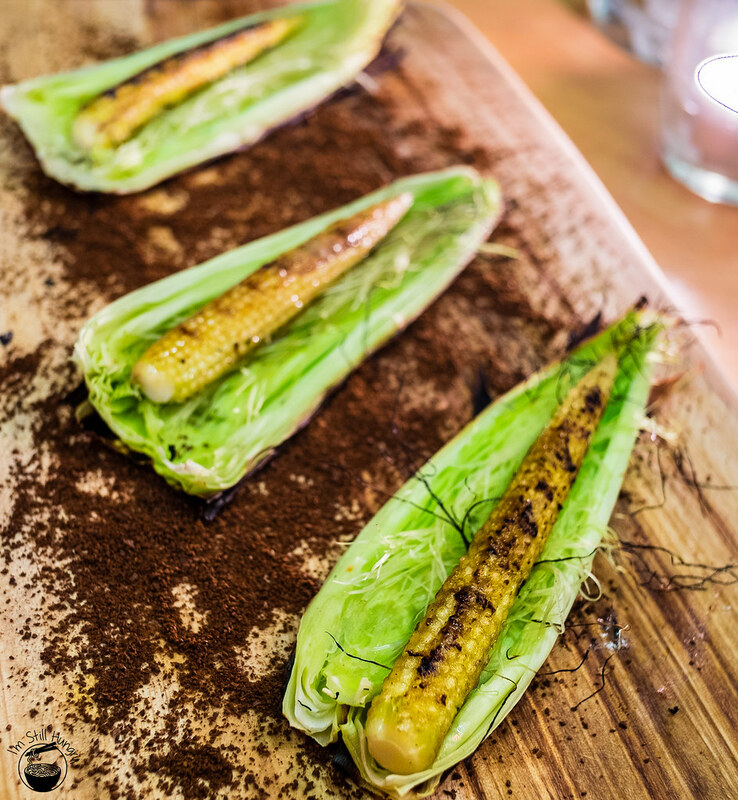 Taste-wise, it’s a nice Japanese twist on the traditional butter-grilled corn, but really, there’s very little that stands out. Boring, is what it would be. I must say, Devon’s KJI burger (on their lunch menu) has always been a subject of my attention, but I have never been able to order it, due to the fact that I’m never able to visit during lunch. Being able to have it as KJI chicken wings is a great idea. The skin is fantastic – so crunchy, textural, I had a hard time believing that it was just chicken skin I was eating. That batter must be something else. The chicken meat itself was less flavoursome, more relying on the sweet and ever so slightly spicy gochujang sauce to give it the kick that it needs. That pricing dilemma? Still here – is it $15 per wing? $15 for two? We got three, but that’s part of the banquet – what about as a separate dish? Who’s to know without the staff being constantly asked? So if the salmon dish was one of my two favourites, Aunty Yulie’s short ribs make up the favourite. 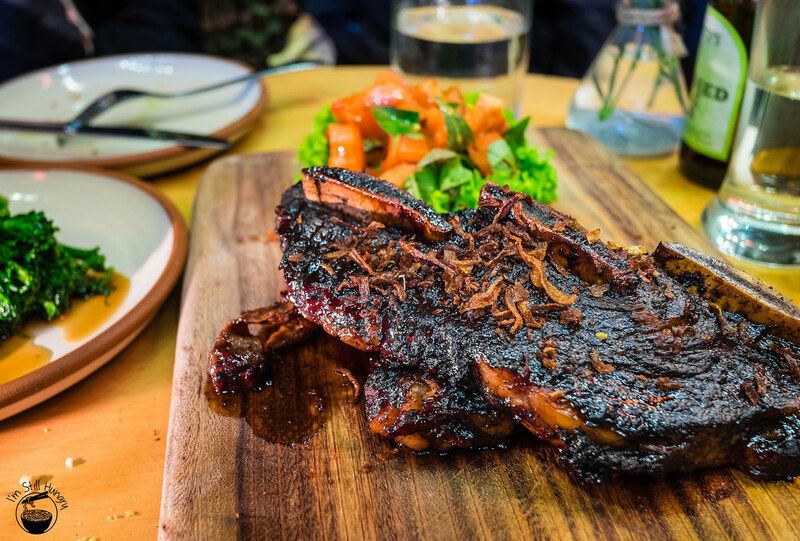 These ribs have a much subtler flavour profile than say, ribs you’d get at Pancakes on the Rocks/Hurricanes due to the Indonesian soy (pretty much Kecap Manis here) used. It makes the meat more fragrant, while retaining the usual “fall of the bone tender” characteristics that ribs are so loved for. This dish comes with a side of broccolini as well, which was over-blanched, such that the vegetables have lost their crunch. Oh well, back to the ribs! I’ve seen the tamarind & plum popsicles aplenty in many blogs now, and while I appreciate the novelty, I’m not completely sold on the idea of these popsicles being the primary dessert. My two dining companions did not like these, as tamarind is quite an acquired taste to have it sweet. I was more partial, as I’m used to tamarind in sweet, savoury and spicy forms. That said, it’s not as suitable, or as refreshing as a good ball of ice cream. This one’s for the more adventurous out there. As such, the meal didn’t really finish on a sweet note. It was very cold where we sat (in the middle section). Yes, you could argue with me and tell me to either sit inside, or to wear more. Except, that won’t do – I was fully garbed up for a start, but what Devon staff need to realise is that when people sit for about 2 hours (how long our banquet took) without moving very much, the cold will find its way in, unless you were overdressed in the first place. In my case, this manifested in my legs going very stiff. It was not pleasant. There are heaters on both sides of the middle section of the cafe, but it really isn’t enough. A comfortable dining experience is not something that Devon by Night provides. The service was…unfortunately subpar. While our waters were refilled frequently and without prompt, the time in between courses were occasionally very long, with no apparent reason. Also, as you may have noticed with our dessert – we got five popsicles. Why 5? Why wasn’t it 3? Or 6 (2 each?). 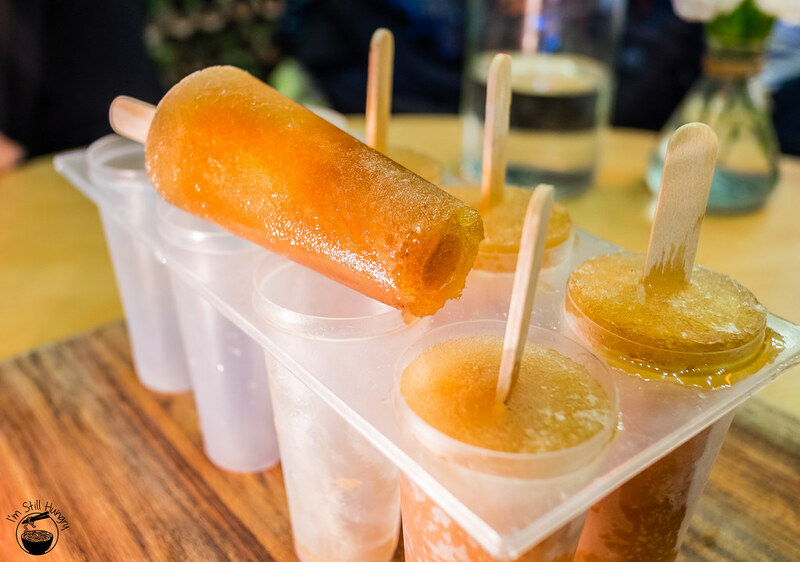 I don’t think there was a pattern to this – we noticed a table of two had 9 popsicles delivered to them, only for staff to later realise it as a mistake, and rectified. b) one of the desserts, a snow egg-like ice cream, is on the menu and that looked appropriate for a dessert spoon. So we waited. About 15 minutes later, we were about ask the waitress what the deal was, when she abruptly came over and removed the napkins and spoons. We chased up, asking if there was anything more to the banquet, to which we were told “no”. I have never been more torn on concluding a review as I am with this one. On the one hand, I love Devon during the day – and I still do. The food served during those times is nothing short of amazing, easily deserving an 8/10+ every time. The service is also decent during the day. Yet, and yet, Devon By Night is a real shamble – much of the food was a disappointment to me, with the service on the same level to boot. It’s a shame, really – Zachary Tan is brilliant, but the dinner menu needs some serious tweaking. Or maybe we were just given all the bad stuff, but that doesn’t really excuse the restaurant either. Rework the food, rework the menu to make pricing and portioning clearer, rework the banquet so terms are made clear, and make sure the staff know what’s up. I score this experience as I do below, yet, this Friday, I’ll be visiting Devon Cafe during the day for breakfast. If that’s not “torn” in the figurative sense, I don’t know what is. Devon By Night – a different beast to Devon by Day indeed. I gave this place my worst rating, 7 thumbs up. Core competencies are key, aren’t they? I love this review because I agree with everything you said! I was just writing my own review for this place and was wondering if I was the only one that thought the pricing was a bit unreasonable and the dishes were quite a disappointment too. I actually know a lot of people who found their Devon By Night experience to be mediocre. It’s not just us! The menu has sections called Solo Eats which the lobster rolls etc are filed under. I think it’s quite clear that you’re going to get one. That doesn’t adequately explain dishes such as the KJI fried chicken (how many pieces?) or popsicles (how many? ), both of which are examples of items not in the “solo eats” section. ohhhhh i didn’t notice the piggy buns until now! I agree 6 bucks is a bit steep but look at the pork! Nps :), the pricing of the pork buns I can live with – the lobster rolls, perhaps not as much! Service was also a thangggg. Eep sounds like there are still a few kinks to iron out. And losing those dessert spoons would have been like having Christmas cancelled on you! YES, I know the feeling – and to have waited for it too! Awkward moments were had, that’s for sure! Oh no! I’m sorry to hear about that. Went there for the tasting and it maybe has an influence about why everything works really well that night. Still planning to visit Devon by Night to try their snow-egg like dessert; I’m not losing faith in Devon! Haha. But I agree, having given dessert spoons after those popsicles just to remove them in 15 minutes is kinda heartbreaking! In retrospect, I was kind of glad that I was too sick to visit via the media invite – service could never be the same as what a normal patron would experience. Hence “The Usual Disclaimer”. But yeah, no loss of faith in Devon By Day – perhaps their night service will one day catch up. How refreshing to read a post that calls it like it is and cuts through the hype in a constructive way. Seems to reflect that running a cafe and running a pop-up style diner are different beasts. Yes, I think so too. While breakfast can be fun and casual, dinners often take serious investment, on both the customer, as well as the restaurant. Learning the ropes of proper restaurant service is going to be Devon’s biggest challenge. Looks like there’s much potential though! And if their breakfast menu is anything to go by, I’m sure there will be plenty of improvements 😀 Fingers crossed! Where there’s improvement to be made, there’s potential. Play to your strengths, and up that service. It will go a long way! 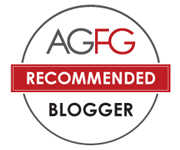 Well, every other blogger out there seems to be going on how great it is – but I’m sure there’s a bit of PR influence to that. You can only find out for yourself though! Give it a go and let me know what you think. The ribs were fantastic but the popsicles are definitely an accquired taste. A bit of tweaking is definitely needed. Great honesty review. I liked the popsicles, as for me tamarind is already an acquired taste. However, that was just one aspect. Plenty to improve on. Always good to be as honest and constructive in your reviews. More positive reviews from others might have just been more positive experiences for them at the time so I guess still valid. Oh yes, other blog posts are definitely valid – not calling them out on that (presuming they are truthful). My experience seemed to be one of the rarer ones. That said, I was clearly not the only one to have had such an experience – others have also taken issue with several matters, so there’s definitely work to be done. While I unfortunately got the short end of the stick in both service and food. Ah well, back to daytime! 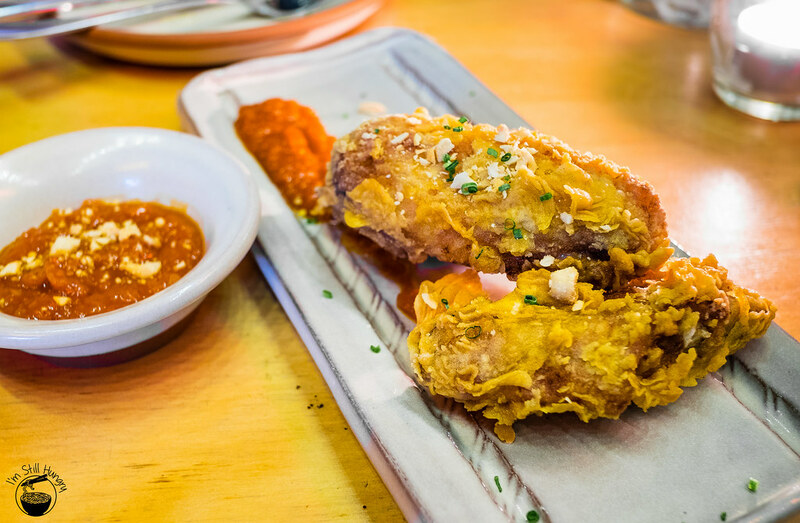 Whether it’s the most loved restaurant in Sydney or not, it’s tough to shell out a considerable amount of money and not enjoy a meal. I had Devon by Night just two days ago and I really enjoyed it so its unfortunate that you didn’t. I definitely agree with your verdict Aunty Yulia ribs though, they were stellar when I went and definitely my favourite too. Yes, you’re right. I mention those little fact nuggets just to further delineate my surprise at Devon’s night service, given its accolades. That said, those awards are unlikely to have taken into account the night service anyway, given how nascent it is. It is unfortunate that I didn’t – I really wanted to, given my great experiences from its daytime operations. That said, it wasn’t to be. That’s your opinion, and I’ve got mine. The lobster rolls were indeed $15.50 each (same size) and so damn pricey! But yes I agree bad dishes shouldn’t even be on the menu, but the snow egg like dessert was really great! Wow, pricey for a quarter tail indeed! Thing is, it wasn’t just bad dishes, but the service was also very surprising (and not in the good way). Oh well, Devon By Day it is! I am sorry to hear about this meal because I know they can do a lot better (and I agree that the daytime items like eggs blini and ultimate toastie are better than anything on the dinner menu). The banquet menu does not look at all like a good deal. You can easily pick things off the a la carte menu and wind up with around $60 worth of food and get more and better dishes (like the egg custard with truffle and the the “snow egg” like dessert). A real shame. But it’s early days. Hopefully these issues will get ironed out. Indeed, they can do better – as evidenced by their breakfast menu. In theory, the banquet should be good value, but given that we got less than what we were expecting, it would seem that it would have been better going a la carte too. However, choosing “better” dishes doesn’t really excuse the bad dishes – every dish on the menu should have the confidence of the chefs, otherwise it shouldn’t be on it. Early days indeed, perhaps two weeks wasn’t enough for the issues to be sorted out. Noticed your comment on ifat’s post and was curious to see what you thought! I felt a little bit like the black sheep, being the one blogger I know of to not be so enamoured with Devon By Night, but yes, I stand by those words. Devon can definitely do better than this! Perhaps visit them a few months down the track, presuming they sort out their issues. Thank you for your words Sibel. I do agree that most bloggers post pretty much nothing but positive comments/reviews about locations, which is fine, really. After all, deliberate selection bias would hopefully guarantee (within reason) that we visit nice places, so there aren’t many negative experiences to write about. But yes, when I do experience something negative, and I feel it’s worth talking about, there won’t be hesitation – I do try and be constructive and diplomatic, so it’s not just bashing – hopefully I’ve made/implied suggestions that the staff for Devon By Night can improve upon! Definitely agree with you about the popsicle; it’s an acquired taste that I just haven’t acquired and not sure if I ever will. I’m ready to fight off trolls with you, bro. Now that’s why you’re my main man. Raise the picket-fences!